When it comes to Christmas, most people think it’s just about getting tons of presents, eating tons of food, avoiding annoying relatives, and getting a couple extra days off. That’s it! Amazingly, even Christians are guilty of this same annual misconception concerning the birth of Jesus Christ and so we too miss out on having that special “Christmas Excitement” all year round. It really is possible. That’s why this study, The True Wonder of Christmas, seeks to unlock this joy producing truth on how to maintain that true Christmas joy every single day. Here you will see how the Prophet Isaiah declares that the birth of Jesus is not only for the forgiveness of our sins, but to also take us into the future coming Millennial Kingdom, a time where Jesus rules and reigns on our planet as the Wonderful Counselor, Mighty God, Everlasting Father, and Prince of Peace. 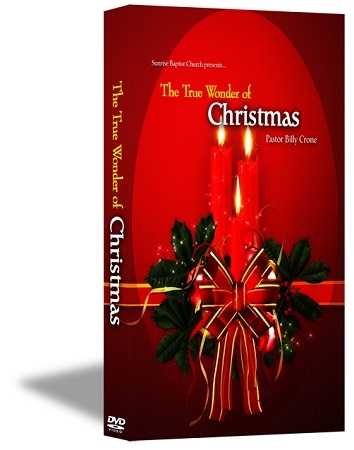 If you don’t want to miss out on that true Christmas joy every single day of the year, or even have it become deflated the very next day, then get your copy of The True Wonder of Christmas today!